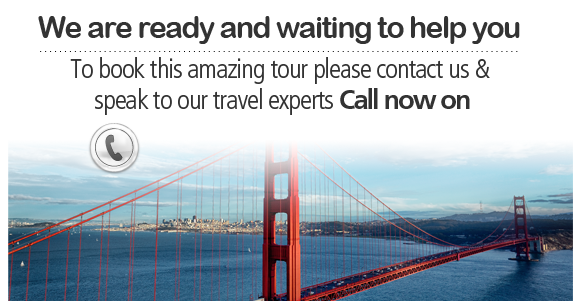 From the peaceful magnificence of the Grand Canyon to the hustle and bustle of Las Vegas, and from the sandstone spires of Bryce Canyon National Park to the city landmarks of San Francisco; embark on a trip which offers both natural wonder and city adventures throughout the west coast of the United States. 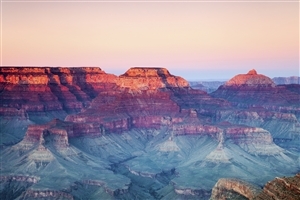 Gaze upon the natural majesty of the vast Grand Canyon. Indulge your senses in the sights and sounds of neon-lit Las Vegas. See the Half Dome and El Capitan rock formations at Yosemite National Park. Walk the beloved streets of San Francisco on both day and night tours. Bask in the glitz and glamour of Hollywood in Los Angeles. 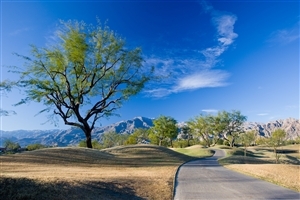 Travel towards the rugged San Jacinto Mountains and Palm Springs, a beautiful area filled with palm trees and a lively atmosphere with pristine golf courses. Afterwards, continue across the arid desert to Phoenix, Arizona’s State Capital. See the mighty Glen Canyon Dam, from which you can witness beautiful vistas over the shimmering man-made Lake Powell. Journey into the Mormon state of Utah in the morning, passing the town of Kanab en route to Bryce Canyon National Park, a natural wonderland filled with vibrantly coloured sandstone spires and peaks all in varying shapes and sizes. The evening is yours to explore or relax as you please. Spend the day at leisure, seeing the many landmarks of “The Entertainment Capital of the World”, from the eclectic Casinos that line The Strip to the Broadway shows that dazzle watchers on a nightly basis. From the hustle and bustle of Vegas to the eerie silence of Death Valley, journey through the arid landscape today as you make pit stops at Zabriskie Point and Furnace Creek Ranch before continuing across the Sierra Nevada Mountains to the alpine resort of Mammoth Lakes. The town was once a renowned mining town during the 19th Century, today it serves as a popular ski resort which features amazing mountain panoramic views. Take a short drive over the Tioga Pass of the Sierras and into the awe-inspiring Yosemite National Park. 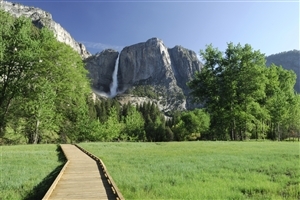 The park houses a number of natural wonders, including the intriguing rock formations known as Half Dome and El Capitan. *During the winter, the Tioga Pass may be closed due to dangerous road conditions, in which case you will overnight in Fresno or Visalia and a visit to Mammoth Lakes will not be possible. Set off early today for a crossing of the Oakland Bay Bridge into the beloved city of San Francisco. Embark on a sightseeing tour before spending time at leisure to see the sites of the city. In the evening you can take an optional City by Night Tour. 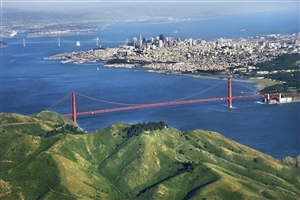 Spend the day at leisure in San Fran, seeing the sights and sounds of the beloved city. Hop a cable car to Fishermans Wharf, or peruse the shops and eateries of Union Square. An optional wine tasting tour of Napa Valley is on offer, to indulge in the tastes of the local vineyards. Leave San Francisco in the morning for the Monterey Peninsula, filled with stunning homes and pristine beaches. Visit Fishermans Wharf and the renowned Cannery Row before touring the art galleries and unique stores of quaint Carmel-by-the-Sea. Continue south in the afternoon through Paso Robles and end the day in Central California Coast town. Your final day sees you travelling through the Santa Ynez Valley into the Spanish-infused Santa Barbara with its white beaches and palm lined walkways. Arrive in Los Angeles for the afternoon where you will embark on an in-depth tour of the “City of Angels”, featuring Beverly Hills, Santa Monica, Venice and Hollywood. Check out of your hotel to signal the end of your tour. * Please note between October & May the closure of the Tioga Pass may make it necessary to overnight in Fresno or Visalia. Accommodation as detailed in the itinerary, or similar. Sightseeing as detailed in the itinerary.